After MaalGaadi, Chennai gets another quirk store a�� and this time, a full-fledged home dA�cor store at that. 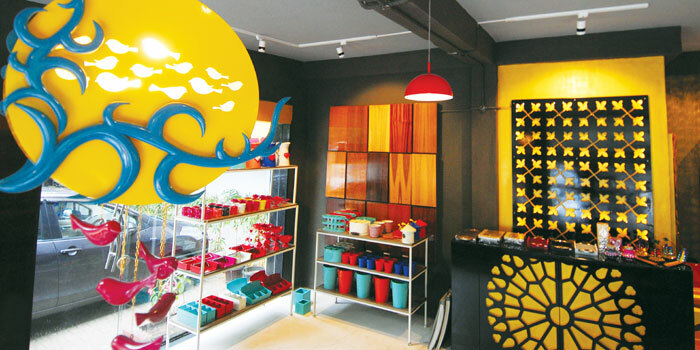 Called Plush Living, the store in Nungambakkam offers colourful bird cages featuring butterflies, lights with little birds hanging from them, and round mirrors surrounded by a bunch of golden maple leaves made of brass and copper, among others. Offering products from different brands across India, the store is run by two young friends, Avinash Malhotra (27) and Sahil Duseja (26). While a floor lamp (from Delhi-based Exhibit D) fashioned from a single slab of marble draws attention instantly, they also have console tables, coffee tables and wardrobes designed by the duo. A wall displays samples of different veneer options they provide for furniture a�� from crown cut and quarter cut to matt and glossy finishes. T here are a host of colourful and quirky stationery organisers, planters, watering cans, beer bottle holders, tiffin boxes and more, from Delhi-based Elan. a�?Travelling to different cities and visiting home dA�cor exhibitions introduced us to brands like Elan and Exhibit D,a�? says Malhotra. 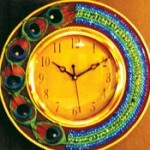 Another range offer table clocks, platters and tea light holders made of concrete. a�?Ia��m a big fan of concrete and rustic work. So we roped in Gomaads because they have very innovative products in concrete,a�? he says. 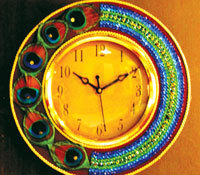 Chennai-based Wild Rosea��s embellished tea light holders are also not be missed. Malhotra, a BBA graduate and Duseja, who studied construction management, worked at construction firms where they gained interior designing experience. Though advocating practical experience over book knowledge, the duo, who also provide interior designing solutions, are pursuing their masters in the same from NID, because of the importance given to a degree.